The pixel-mangling madness continues. Here are the latest goodies to show up in our inbox. Enrico Nau aka naus3ayt is playing with code-for-artists environment Processing (site | cdmo tag). It’s yet another example that reveals that computer vision, aside from the useful-ish applications like tracking what you’re doing, can be used to purely aesthetic ends. No code excerpt here, but the best place to begin here would be the official Processing tutorials or the OpenCV tutorial recently posted here on CDM. 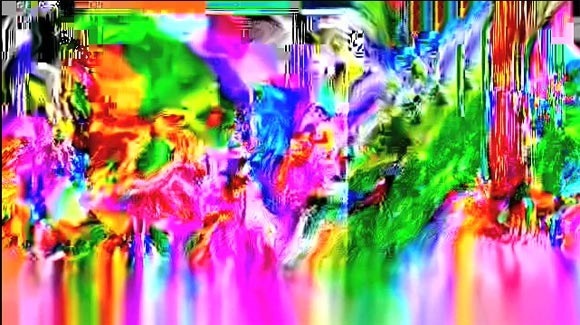 I recently coded a toy that samples colors from a video feed and used them to create virtual brushes; similar mood to data moshing, different approach. In other news, we have this gorgeous glitchy … something or other. Okay, actually, I have no idea what this is or where it came from (and neither does tipster con), but boy, does it take the opposite tack compared to the one suggested by David O’Reilly – it’s a maximalist, intentional overuse of a particular data compression artifact. In this case, though, it fits nicely with the musical content, which is what O’Reilly suggested. Anyway, enjoy – and keep experimenting, everyone. Experiments, by definition, can be ugly, and that’s good. It’s all part of the process.